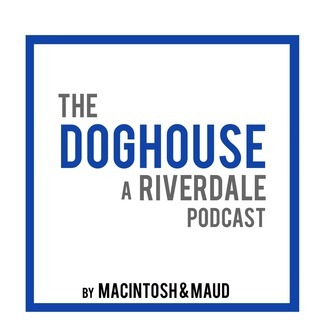 Mac &amp; Maud watch Archie and the gang navigate the perils of high school and a dark, twisted mystery in the CW's Riverdale. CW: Kidnapping, chloroforming, cult behavior, gaslighting, drug use, drug-induced psychosis, parental neglect, death. So we did a whole lot of set up last week to…do a whole lot more setup. I mean, it’s not the worst episode of TV we’ve ever seen, but what exactly got accomplished? And is it just us or do things seem weirdly disjointed? We know there was an extended hiatus to deal with the passing of Luke Perry, and we’re just wondering if maybe we’re trying to shove a bunch of stories together to pad time. Still, we’re stoked for the final twist at the end, Kurtz’s creepy mannerisms, and Betty’s emotional confrontation with her own dark feelings. But mostly watching Fangs and Kevin stare lovingly at each other. We can only dream for them this week on The Doghouse! Macintosh & Maud have started a Patreon! 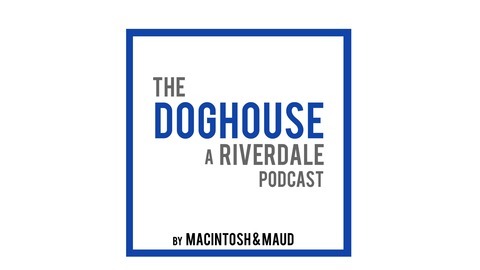 You can sign up now at our $2/month level to get our Doghouse Drive-Thru every Friday after a new Riverdale episode, plus The Chilling Adventures of the Doghouse, a weekly review of The Chilling Adventures of Sabrina on Netflix! Clip from “Yoo Hoo” written and performed by Imperial Teen. © ℗ 1998 Slash Records. Clip from “(Don’t Fear) the Reaper” written by Donald “Buck Dharma” Roeser and performed by Blue Öyster Cult. © ℗ 1976 CBS Inc.
Chapter 49: "Fire Walk With Me"